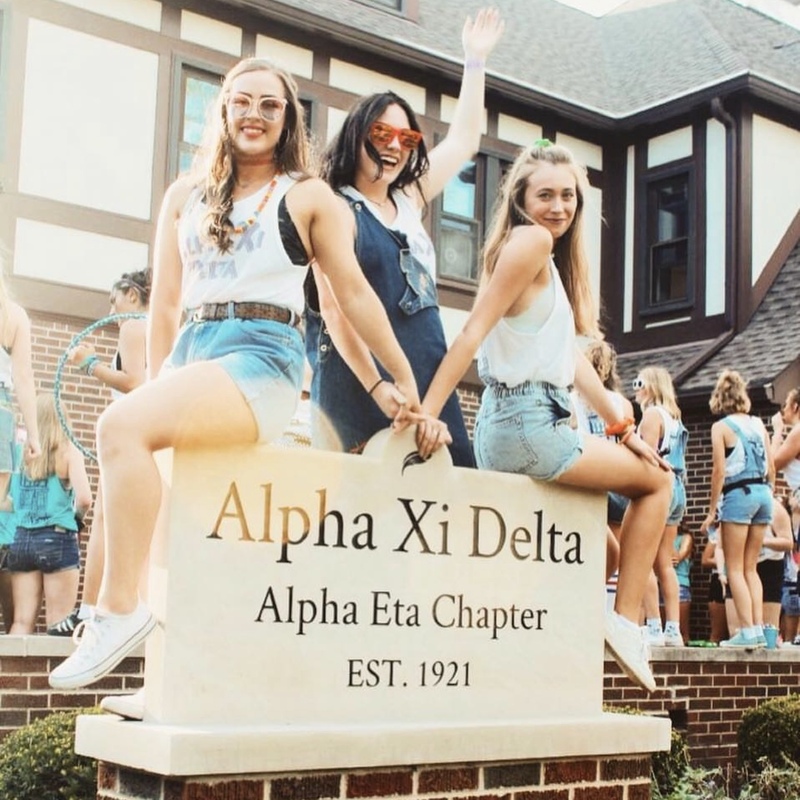 Welcome to the Alpha Eta chapter of Alpha Xi Delta here at Purdue University! 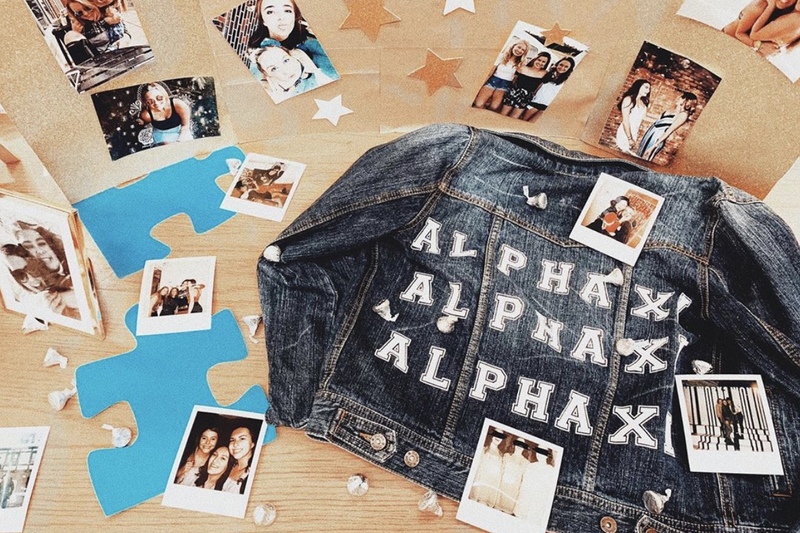 We are very excited that you have taken the time to check out our website and we can’t wait to show you what the life of an Alpha Xi Delta sister is all about! Becoming an Alpha Xi Delta has truly been one of the greatest decisions I made after deciding to come to Purdue! Before coming to college, I was very skeptical about joining Greek life. No women in my family had ever gone Greek, so everything was new to me. I thought you had to look, act, and be a certain way in order to fit in a sorority. These thoughts and expectations were blown away once I met my sisters! Each and every one of them is so unique and adds so much to our sisterhood. I felt that I was able to be 100% truly myself around all of them and that was such an amazing feeling! What I love most about the Xi house is that there is always someone down to binge watch Netflix, go on a Dunkin’ Donuts iced coffee run, to study with and to motivate me to go to the gym. I know I always have someone to turn to for advice, to make me laugh, to push me to work hard, and to enjoy life with. I consider my sisters some of the biggest blessings in my life! Alpha Xi Delta has challenged me to become the best version of myself and to grow in my leadership skills. My sisters inspire me by setting such amazing examples. They are dedicated to their studies, loyal to their friends, persevere in hard times, and have accomplished such great things! So many of our sisters have incredible summer internships, co-ops, and jobs, have been accepted into prestigious graduate school programs, and have been incredible women that I can only aspire to be like. What stands out to me the most about being a member of Alpha Xi Delta is our drive to help those affected by Autism. Our national partnership with Autism Speaks and Walk Now for Autism Speaks is something our whole chapter holds very near and dear to our hearts. There are so many people in America that are affected by Autism, and we strive to do everything we can as a chapter to help. We host philanthropy events to raise money for Autism Speaks, including Football FrenXi, which is a flag football tournament, Paint Wars, which is a paint dodgeball tournament, and a 5k walk or run! The money we raise from these events goes towards Autism Speaks. However, we don't stop at just raising money. We like to be involved and have real hands-on experiences! This is what drove us to start the Special Needs Swim and Gymnastics programs! Both of these programs are held at the YWCA in Lafayette, and our sisters volunteer there and work as buddies to teach the children enrolled how to swim or do gymnastics. It is so exciting for sisters to see the direct impact that they can have on children with special needs, and see the way that the children evolve in these programs! When we are not volunteering or raising money, we have quite the busy schedule! We have social functions, dances, sisterhood retreats, sisterhood events, we attend Purdue sports games, and anything else that may pop up! Our sisters are also extremely involved in activities outside of Alpha Xi Delta. Many of our sisters are involved in clubs, and also hold leadership positions in these organizations! Some of these organizations include: Boiler Gold Rush, Purdue University Dance Marathon, Club Sports, Academic Clubs and more! We also love when our sisters study abroad! We love seeing pictures and hearing stories when our sisters return! I am truly honored to serve as the Chapter President of Alpha Xi Delta here at Purdue. The Alpha Eta Chapter has truly inspired me to become the best version of myself, to help others realize their potential, and has shown me what it is like to have amazing women standing by your side. I hope that you can find a sisterhood as amazing as the one I have found here at Alpha Xi Delta! I invite you to continue looking through our website to see what the life of an Alpha Xi is all about. Best of luck with Recruitment!! You are more than welcome to contact me with any questions!